The CIS department is currently seeking blog writers. This volunteer position will earn you some notoriety (your name as part of the Blog Writing Staff on our About page) and SET credit in the Arts, Culture, and Creativity category. You will be asked to edit and/or write a minimum of 5 blog articles per month. Work can be done independently from your own computer. You can be provided with material for blog posts and/or come up with your own original ideas, per your own preference. You will also have opportunities to suggest improvements for the blog in both format and content areas. Please contact Dr. Jamie Pinchot if you are interested in volunteering. In addition, the CIS department is seeking one CIS Department Blog Writer/Assistant. This will be a paid work-study position ($9/hour up to 5 hours per week) that will be available for the full academic year 2015-2016. You must be eligible for Federal work-study to be approved for this grant-funded position. Skills in writing for the Web, editing images, editing video, and/or WordPress is a plus. This entry was posted in campus news, job opportunities and tagged blog, blog writing, SET credit, work-study on September 17, 2015 by Dr. Jamie Pinchot. At BNY Mellon, Client Technology Solutions (CTS) powers the tools that their employees use every day, secures their clients’ sensitive data, keeps the “lights on” when disaster strikes, and makes it possible to process more than $1.7 trillion per day. To provide institutions, corporations and high net worth individuals with their secure services, technology must be at the forefront of everything they do. At BNY Mellon, technology is more than a way to facilitate business – for them, it is their business. Come out on Monday, March 30th, 2015 to learn about the infrastructure that keeps one of the world’s largest financial institutions running, and meet the expert professionals who create the innovative solutions to keep them at the forefront of this technology. You’ll hear about their internships and full-time position available in the Enterprise Infrastructure Program, which is geared toward university students and recent graduates. If you register at the registration table, you will be able to receive SET credit for attending BNY Mellon’s event. This entry was posted in enterprise systems, events, internships, job opportunities and tagged BNY Mellon, SET credit on March 28, 2015 by Dr. Jamie Pinchot. The Ninth Annual Intersections Undergraduate Research Conference will take place April 24, 2015 in the Sewall Center. The Honors Program would like to invite students to apply and present their research papers and creative projects. This conference highlights various disciplines and subject areas. All majors and years are invited to present. Students will also receive SET undergraduate research credit for presenting at the conference. Students also have the chance to be awarded the distinction of “best paper” or “best poster” from the conference. The deadline to submit an application to present is April 1, 2015. Students can find the application here. Additional information about the conference can be found at rmu.edu/urc. If you have any questions regarding the Undergraduate Research, please do not hesitate and email Lindsey Sobolosky – Honors Program Assistant at Robert Morris University at sobolosky@rmu.edu or call at 412-397-5949. This entry was posted in events, student research and tagged events, SET credit, undergraduate on March 3, 2015 by Lily Fedyk. 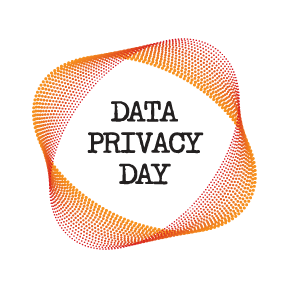 On Wednesday, January 28, 2015 Carnegie Mellon University is sponsoring an event celebrating National Data Privacy Day. This entry was posted in cyber forensics and information security, events and tagged CMU, data privacy, data security, events, national security, SET credit on January 20, 2015 by Lily Fedyk.